This is a seven-week training sponsored by The Shift Network, which I taught live three times and were all recorded. Now the best of the 3 recordings is available in its pre-recorded, downloadable format. During this training we experience the power of working together in a supportive community while learning the shamanic practice of journeying. 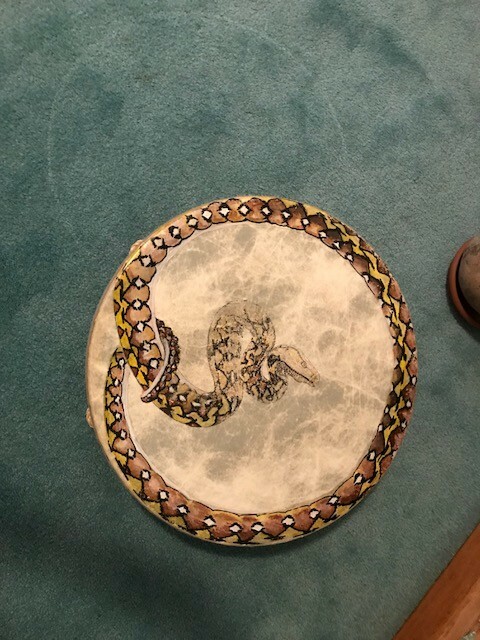 Each week we perform journeys together for healing, connecting with nature, and learning how to feel empowered by living a shamanic way of life. We end each session by engaging in a virtual ceremony together to exponentially increase the power of our work. To register for this course, please click here. This course is a transformative 12 week course. The prerequisite for this course is taking Part 1 or being able to show you have taken a workshop on shamanic journeying. Just some of the topics included in this course are how to journey for others and perform powerful but safe healing practices. By taking both Part 1 and Part 2 you will learn most of the material I teach in the Medicine for the Earth. These courses do not include what I teach in Healing with Spiritual Light. Each session ends with a beautiful and potent healing ceremony. There are many other topics covered such as journeying to ancestors and descendants to learn from them how we can be in service to the planet, how to work with people who are facing death and dying, and how to bring simple ceremonies into your community. To register for this course, please click here. Please note: I do not teach advanced shamanic healing ceremonies online. I feel strongly participants need to sign up for a physical workshop with a teacher to learn such important work so that clients get the best help they need and deserve. But there are safe ceremonies I teach for those wanting to help another, a relationship, family, business, or a location on the Earth. I teach ways to connect more deeply with nature as shamans have done for tens of thousands of years. Note: Taking "Experiencing the Shamanic Journey” or the Shift Network courses Part 1 and 2 serve as the prerequisite register for more advanced shamanic trainings. The shamanic journey-how to enter a new state of awareness and open your perceptions to the spirit world Guidelines for interpreting the information you receive, improving your recall, and deepening your experience Your spiritual allies-guided journeys for making contact with your power animals, ancestors, and guardian spirits The Upper, Lower, and Middle Worlds-experience journeys into each of the three divisions of non-ordinary reality The shamanic approach to healing-how to make yourself a conduit for universal healing energy to benefit yourself and others "Seeing through the heart"-expanding your perceptions in real-world situations by connecting with the universal field Dealing with the ego-guidance for navigating the most common pitfalls of doubt and self-sabotage Your own journey style-how to dispel unhelpful preconceptions and learn to trust your unique way of receiving guidance and energy from the spirits Embodying wisdom-bringing your practice into your relationships, community, and every aspect of your life. Experiencing the Shamanic Journey brings you in-depth online training in shamanic practice from Sandra Ingerman -with video instruction and guided journeys along with written materials to help you deepen your understanding. To register for this course, please click here.